While the adage goes that defense wins championships, 16 goalies have won the Conn Smythe Trophy in NHL history compared to just 10 defensemen. Considering the Montreal Canadiens have won a league-high 24 Stanley Cups, that’s a lot of good goalies from which to choose when selecting the best in team history. Granted, championships alone don’t necessarily dictate the skill level of whoever’s manning the crease. Just tell Carey Price. And, since we’re being honest, 17 centers have won the Conn Smythe. 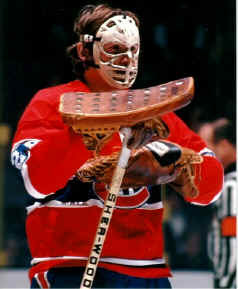 Nevertheless, when the league recently announced the 100 greatest NHL players ever, 24 had once suited up for the Canadiens. Of those, six were goalies. That thankfully narrows the possibilities to populate this list of the top three Habs goalies down a bit. Taking into account their accomplishments in a Habs uniform, here they are. Ken Dryden was an undeniable icon. For instance, his trademark pose, resting his arms atop his upright stick as the play was stuck at the other end of the ice, was forever immortalized in statue form. It came to symbolize his calm demeanor. Many might interpret it as him not having had to worry playing behind the teams he did, but more popularly the pose was seen as him confidently (or arrogantly) conveying to his teammates at the other end of the rink that he had his responsibilities well in hand whenever play shifted back the other way. The truth is, Dryden was just as much the backbone of those dynasty championships of the 1970s as anyone else from the time he joined the team. He won the Calder Memorial Trophy in 1972, but what was truly remarkable about the feat was the fact that he had won the Conn Smythe Trophy the previous playoffs after backstopping the Habs to a championship. That 1971 Cup was the first of six championships, but they spanned just nine seasons, as Dryden retired on top at the end of the 1978-79 campaign at the age of 31.
Who knows how many more he could have won had he played even just a little longer? Considering he sat out one season due to a contract dispute and only got in only six regular-season games in 1971, he technically won six cups in seven years. That’s a pretty good clip. 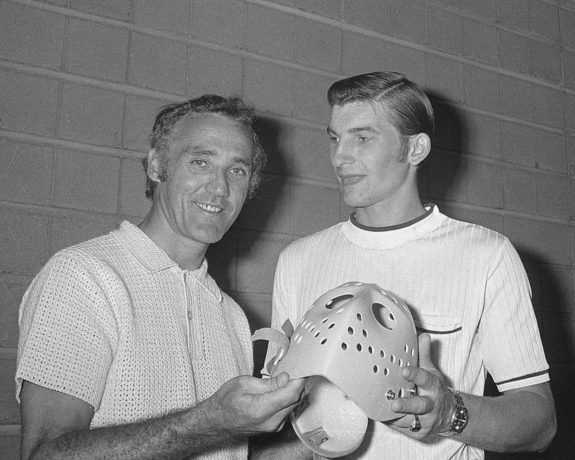 Similar to Dryden, Jacques Plante was so much more than an icon. He might merit consideration here simply for the fact that he was pioneer, bringing the goalie mask into the mainstream by being the first to wear one regularly. He further helped to modernize the position as the first to stop the puck behind the net and raise his arm to signal an upcoming icing call to help out his defensemen. However, the accomplishments that resulted from his actual play were nothing to scoff at either, including five consecutive Vezina Trophies (and a record seven total). The five straight trophies coincided with the Canadiens’ five straight Stanley Cups from 1956-60, and some might argue he benefited from playing behind some of the best teams in history. That might be true, but he did play the single-most important position in the process. Consider the following: Today’s Habs are fringe championship contenders. Does anyone really believe they’d be anywhere close to their current status as such without Price? When you held the record for most wins in a career until relatively recently, you have to at least enter into the conversation when discussing the best in league history. 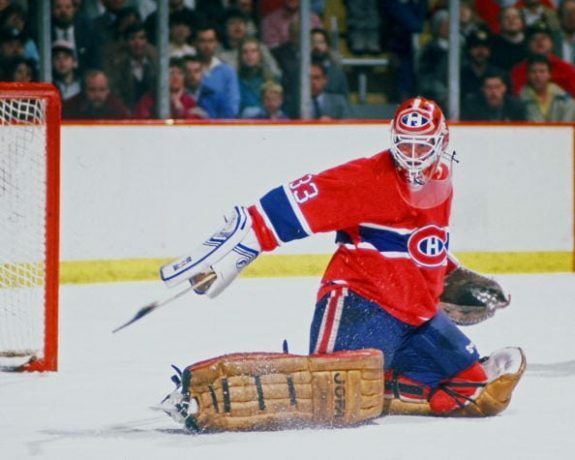 Granted, many of those wins by Patrick Roy came with him in a different uniform, but there is little denying Roy’s impact as a member of the Montreal Canadiens. While it’s hard to limit his prime to just a few years, seeing as he stayed effective up to the end of his 18-season career, the Habs did enjoy stability in net—to say the very least—from almost the point at which Roy was drafted to when he turned 30. That included his Stanley Cup (and Conn Smythe Trophy) runs as both a bright-eyed 20-year-old in 1985-86 and as a bonafide superstar in 1992-93—the last two championships the team has enjoyed. There is no recency bias here though… just ask Price, who failed to make the cut. While Roy’s career averages (like save percentage; .910) aren’t eye-opening in the least, you have to adjust for inflation. He played in a different era while with the Habs. Looking at his stats over his last few years as a member of the Colorado Avalanche, it becomes clear just how great he actually was. Take his second-to-last season in 2001-02, for example. He was 32-23-8 with a 1.94 GAA and .925 save percentage… as a 36-year-old. Sure, Habs goalie Jose Theodore captured both the Vezina and Hart Memorial Trophies that year instead of him, but that only further proves how that specific feat should not be enough to land Price on this list. Price has been great for nearly five seasons now. Roy was great for over 10 as a Hab. One of, if not, the greatest.